A few of my favorite pieces that stand out the most. never settle for blending in. 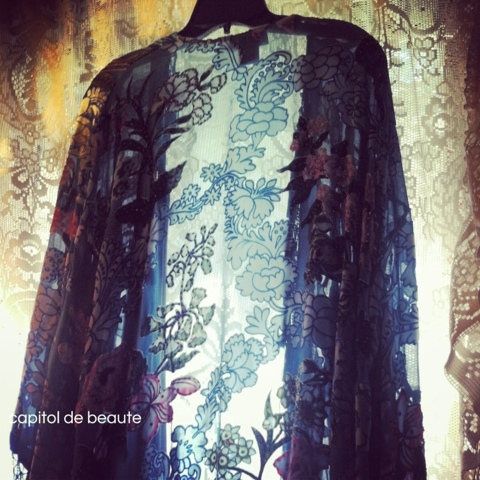 Japanese inspired vintage jacket made of silk, velvet, bugle beads & embroidery. Silk tassels edge the sleeves & base. 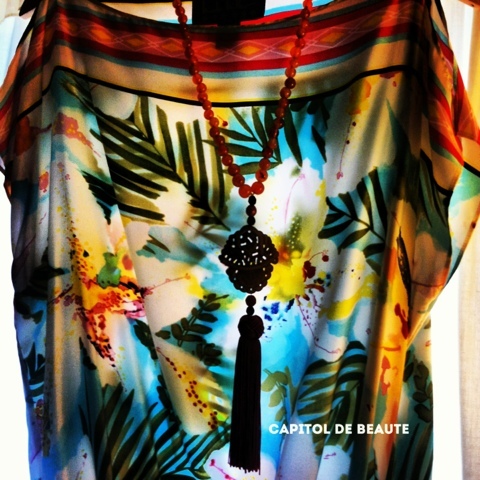 Nicole Miller silk watercolored scarf top with a Asian tassel necklace that I made. 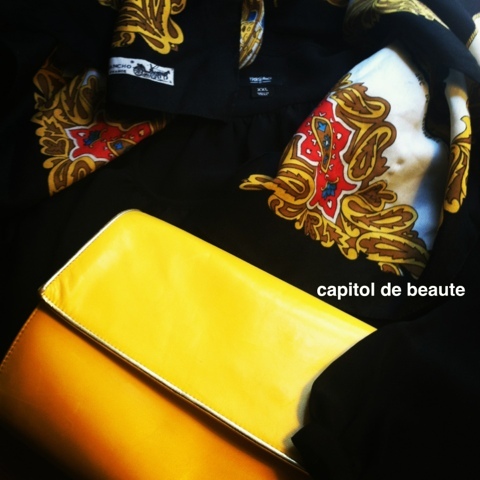 Vintage Hermes Scarf with black sheer Anna Sui blouse & Bally clutch bag. 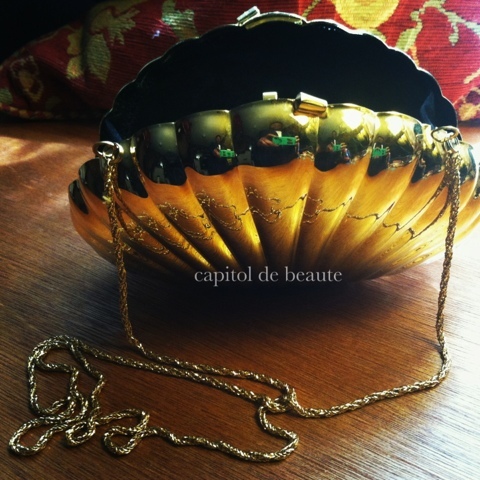 Vintage clam shell metal clutch bag w/ chain strap.